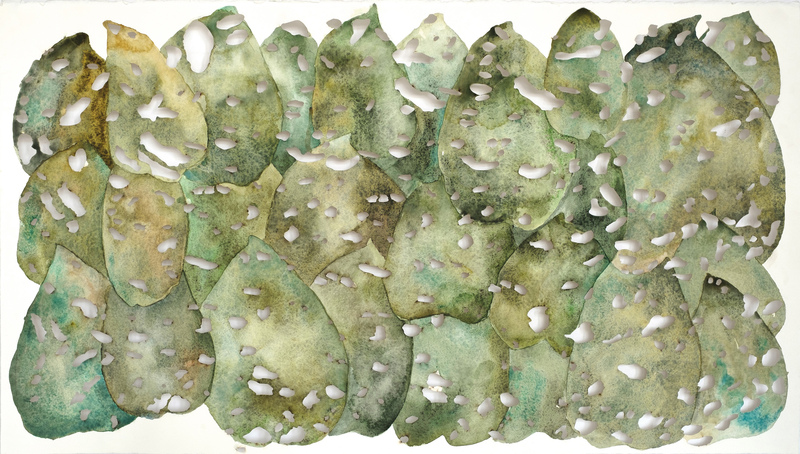 Holey Leaves, Vert, 2018, Watercolor on laser cut paper, 18” x 32” Invasive insects and slugs chew holes in the leaves of mature plants, nearly defoliating plants and robbing them of neutrants. The holes in the leaves were laser cut. The images painted after the cutting.